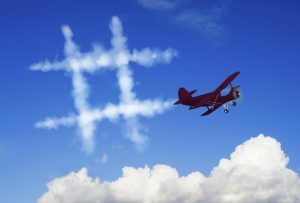 Twitter hashtag hours are an example of simple idea that is both useful and free to use. Simply send your tweet in a sixty minute window each week to reach businesses and individuals in a given area. It’s a great way to network and make new contacts. As the idea has caught on it has spawned hundreds of new hashtags. Each one seeks to act as a focal point for a particular geographic area or a niche interest. Some accounts have been duplicated while others have fallen into disuse. As with all things in cyberspace it’s a good idea to check the data for integrity every now and then. The list below is for the weekly area or county hashtag hours in the UK. I compiled this list from another I found online but it quickly became apparent that the list I was about to use was out of date. It contained duplicate entries and other errors so I have checked each hashtag against the Twitter account the manages it. Times are UK local time. If you spot any errors or find any other regional hashtags please let me know in the comments below and I’ll update the list. If your topic of interest is covered then there’s nothing to stop you from opening a Twitter account and starting a new hour of your own.